About 7.3 million people in the United States follow a vegetarian diet, according to the Vegetarian Times website. Another 22.8 million follow a semi-vegetarian diet, which includes both vegetarian and non-vegetarian foods. Vegetarians do not consume meats in any form, including hamburgers, pork chops, hot dogs, chicken, turkey and fish, and therefore may suffer from a lack of protein. Many vegetarians rely on high-carbohydrate foods, such as breads and pastas, to replace meat products; however, if you wish to follow a low-cab diet, there are several low-carb vegetarian foods that can give you the protein you need. Vegetables are important parts of a vegetarian diet. Although most vegetables contain some carbohydrates, they are much lower in carbs than grains and other common vegetarian foods. The vegetables that supply the most protein, according to the USDA National Nutrient Database, are broccoli, asparagus, garlic, turnip greens, spinach and tomatoes. These vegetables all contain between 5 and 10 grams of protein per 1-cup serving. According to the Vegetarian Resource Group, beans are efficient sources of lean protein that can replace meats in the vegetarian diet. They are also low in carbohydrates and contain no saturated fats or cholesterol. Chickpeas, lentils, navy beans, cowpeas and black beans are all high-protein, low-carbohydrate choices. Tofu is a common meat replacement for vegetarians. This food, made from soybean milk, is an abundant source of protein, according to the Vegetarian Resource Group. Unlike meat replacements that contain wheat, such as tempeh, seitan and most commercially-packaged veggie burgers, tofu is low in carbohydrates. Although vegetarians do not eat meat products, most consume eggs, as well as dairy products such as cheese, yogurt and milk. 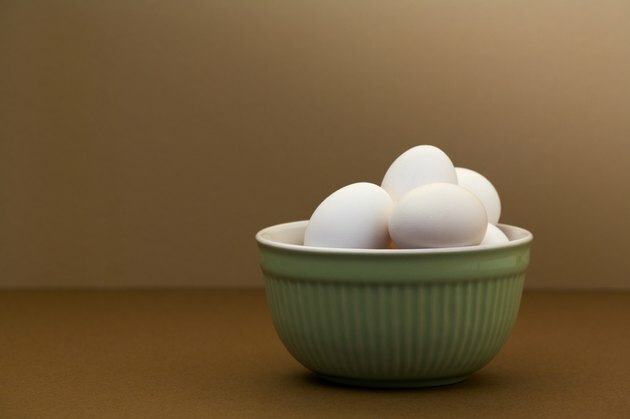 According to the USDA National Nutrient Database, eggs and dairy products are low in carbohydrates, with less than 1 carb in an egg and less than 10 carbs in a cup of milk. They are also rich sources of protein for vegetarians.